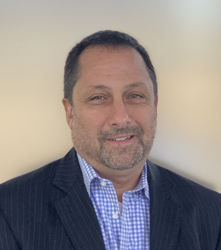 Impact XM, a global experiential marketing agency and crafter of powerful brand experiences, has tapped 20+ year industry veteran John Capano to lead its client development and growth efforts. Impact XM, a global experiential marketing agency and crafter of powerful brand experiences, has tapped 20+ year industry veteran John Capano to lead its client development and growth efforts. As senior vice president client development, John will apply his expertise in strategy, digital, and client service—for both B2B and B2C programs—to Impact XM’s growing portfolio of tier 1 trade show, event, and experiential marketing projects. Over the course of his career, John has helped clients drive growth and transform their organizations through internal and external branding and marketing initiatives. John was most recently senior vice president, general manager at global experience agency GPJ where he oversaw the Los Angeles and Dallas offices. John also led the North American Strategy & Planning practice at GPJ. Prior, John was senior vice president, digital strategy at Wunderman, one of the world’s largest digital agencies. “John is one of those rare executives who can help transform and lead an organization, driving more value for both the company and clients. He is strategy-first and a champion of great creative—which we expect will elevate our clients’ programs to new levels of success,” says Jared Pollacco, president, Impact XM. John is excited to work with the Impact XM team. “Impact XM has demonstrated the highest levels of creativity and innovation in our industry. I’m excited to be joining an organization that is singularly focused on delivering value to clients and pushing the boundaries of what can be done in our space,” says John. Impact XM crafts strategically driven, creatively focused brand stories through live and digital experiential marketing that delivers measurable results for its clients. Trusted by some of the world’s most respected organizations, the agency has a forty-four-year heritage of insightful strategy, brilliant creative, smart fulfilment and purposeful metrics across business and consumer trade shows, user conferences, event activations and digital engagements. Impact XM clients operate across a variety of industries, including the Aviation, Healthcare, Technology and Industrial sectors.